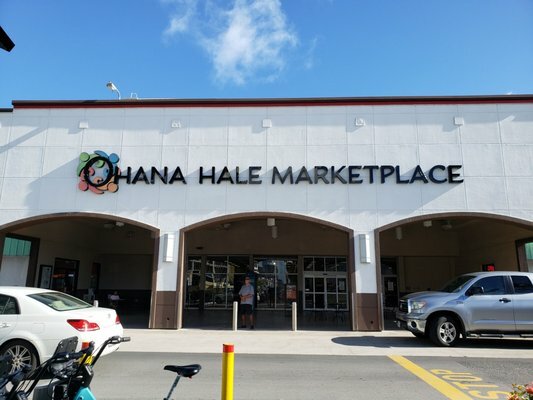 Saint Damien - Hawaiian Quilting With Poakalani & Co. It was in 1994 that we were invited to be part of a group to travel to Belgium for the Beatification of Father Damien DeVeuster. 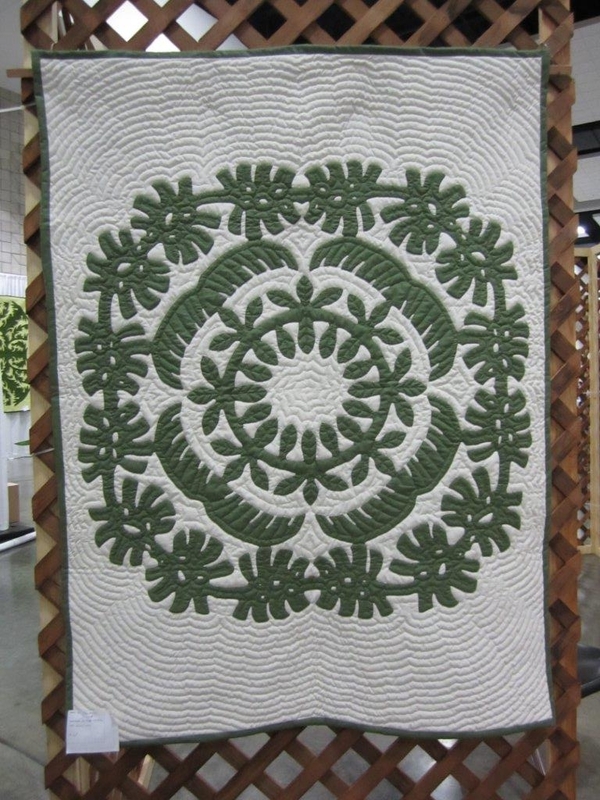 Our role was to demonstrate the art of Hawaiian quilting. 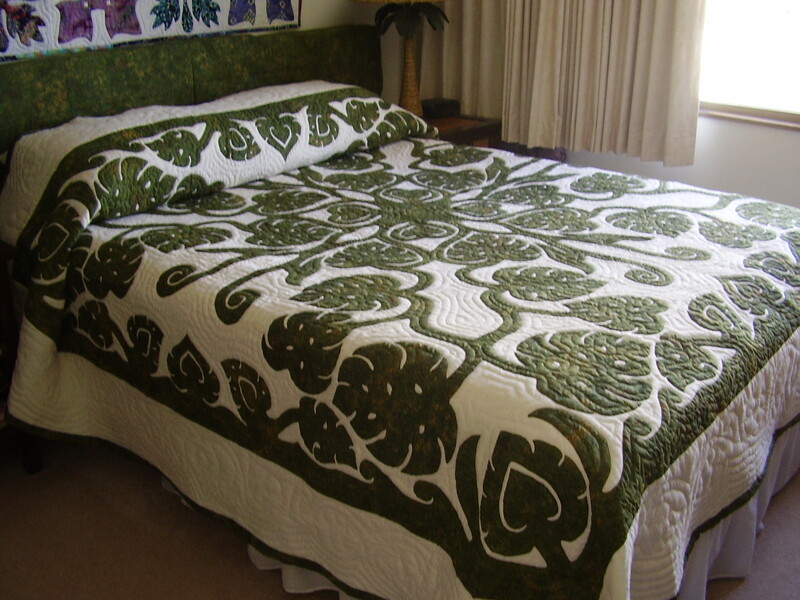 We decided that since this was a special occasion my father, John, would design a new quilt in honor of Father Damien. 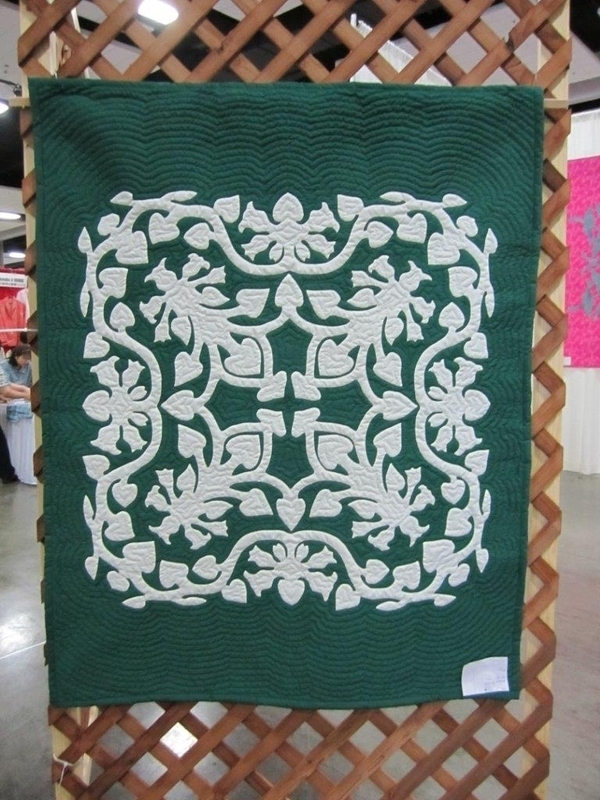 The design for the quilt came in a dream to my father. In the dream he recalls standing on the cliffs above Kalaupapa looking over the beauty of the land. In this dream my father saw a young priest standing nearby viewing the beautiful sight. 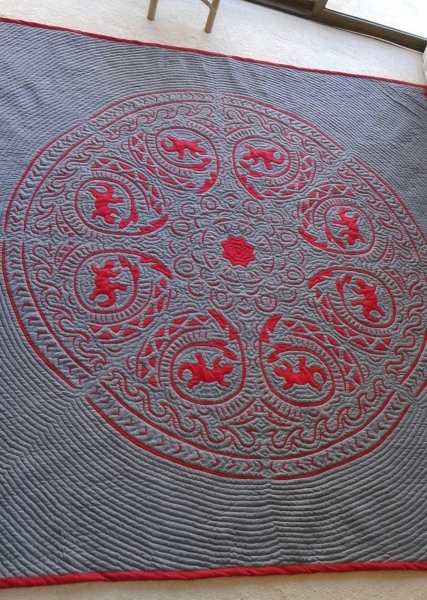 After a few moments the priest turned and walked into a brush and returned carrying a shield bearing the design of the quilt. As the priest turned to walk down the trail to Kalaupapa there appeared to be an aura of light surrounding him as he disappeared from sight. Upon awakening my mother and father quickly laid out the material and cut out the design for the quilt but the insignia of the Sacred Hearts that was in the dream was missing. 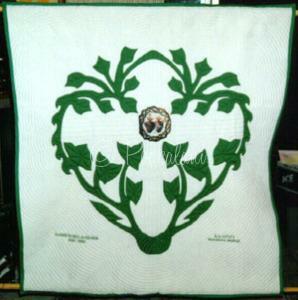 They were at a loss on how to place the Sacred Hearts insignia of Father Damiens’ order on the quilt. While they pondered on this problem one of our quilters, Mrs. Kay Johnson, came to class with a photo of the Sacred Heart taken from a picture window of the church that Father Damien attended in Belgium. She graciously allowed us the use of the photo to make a copy for the quilt. 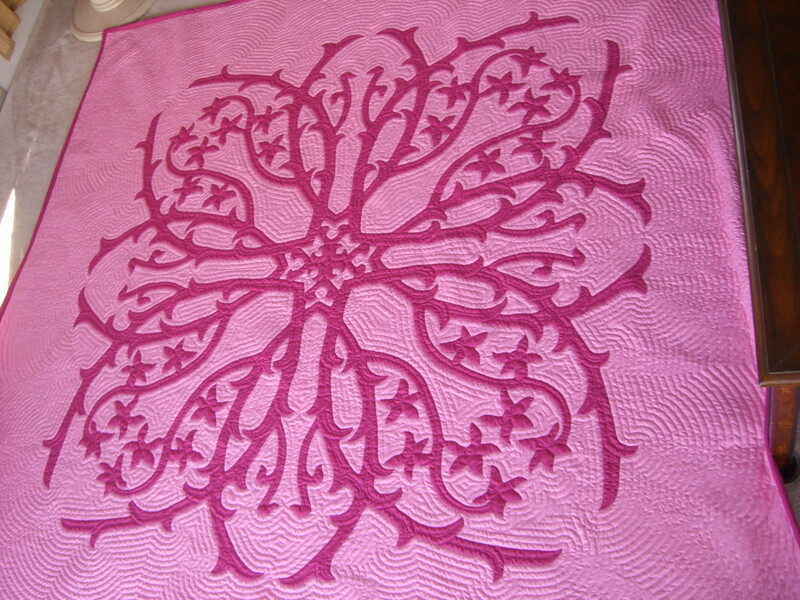 This copy was placed in the center of the quilt. As my parents continued working on the quilt Damien Memorial High School contacted them requesting the use of the quilt for the Damien Memorial Ceremony. To our surprise they had named the quilt the Damien Beatification Quilt. We attended the ceremonies at the school and at the end we were asked what our intentions were for the quilt after the Belgium ceremony. We informed them that we were not sure whether to donate it to the church in Kalaupapa or the church in Belgium. Right after saying this Father Arsene who was standing nearby introduced himself as the Pastor for Kalaupapa and stated that he has the perfect spot for the quilt. Right at that moment we promised that the quilt would be given to the church at Kalaupapa after the beautification ceremonies. 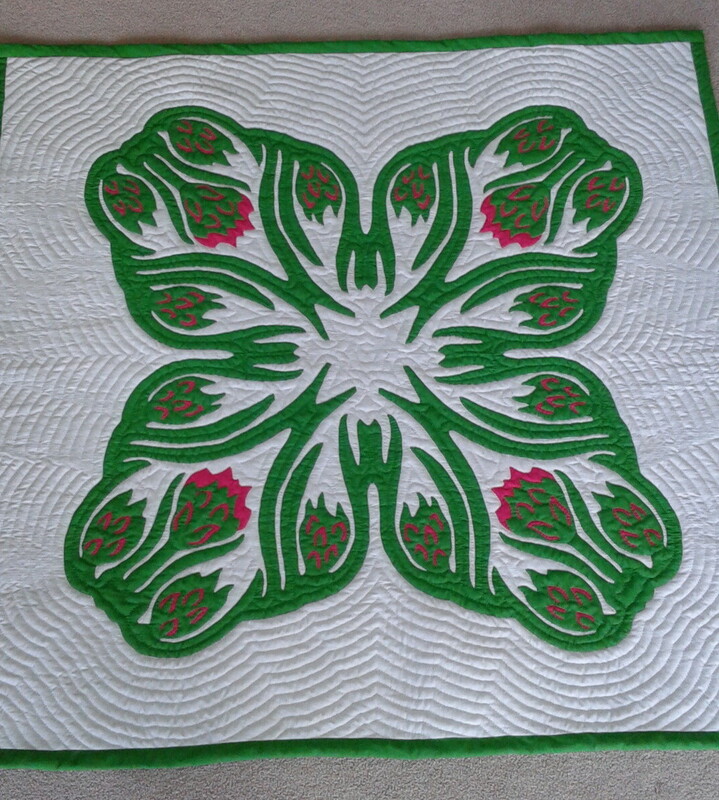 We had completed the quilt and had it on display at Blessed Sacrament church in Pauoa, St Johns Mililani, American Samoa and Chicago where it was blessed by the congregation. We took the quilt to a Hawaiian Minister for a special blessing to reinforce the love of all Hawaii people in the quilt. 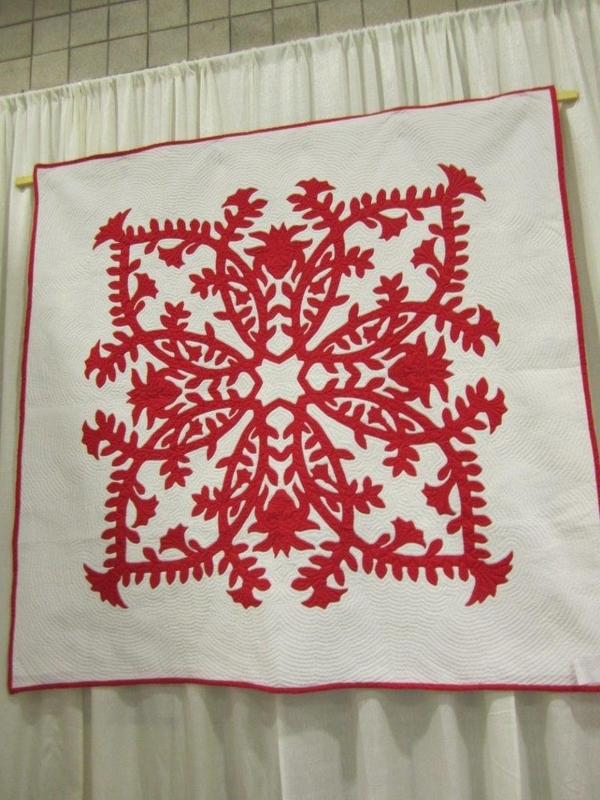 As she opened the quilt she smiled and asked where the design came from. 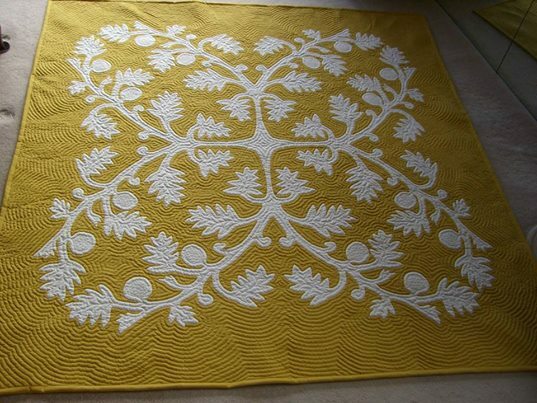 My father informed her of his dream and she started to explain the quilt. The scallop edges on the side of the designs signified the beatitudes. 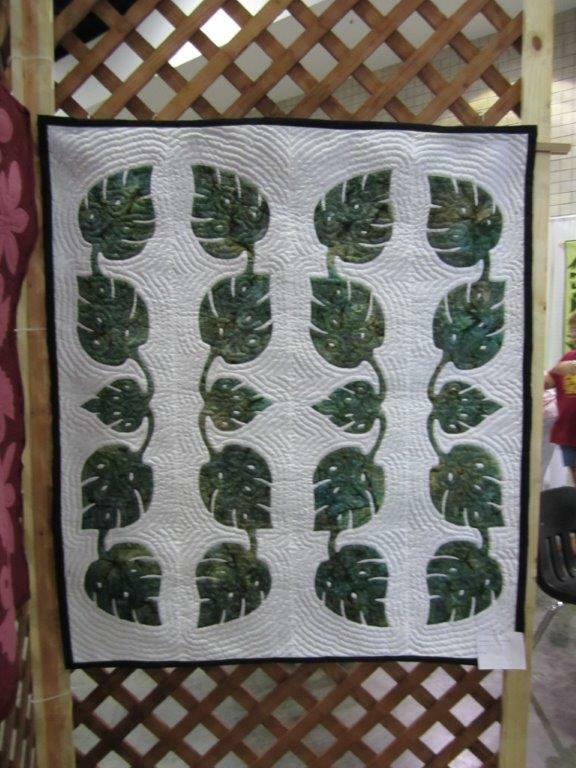 The taro leaves at the bottom of the quilt signified the 10 commandments. The three kukui nut leaves on each side of the top design indicated the Father, Son and Holy Spirit. 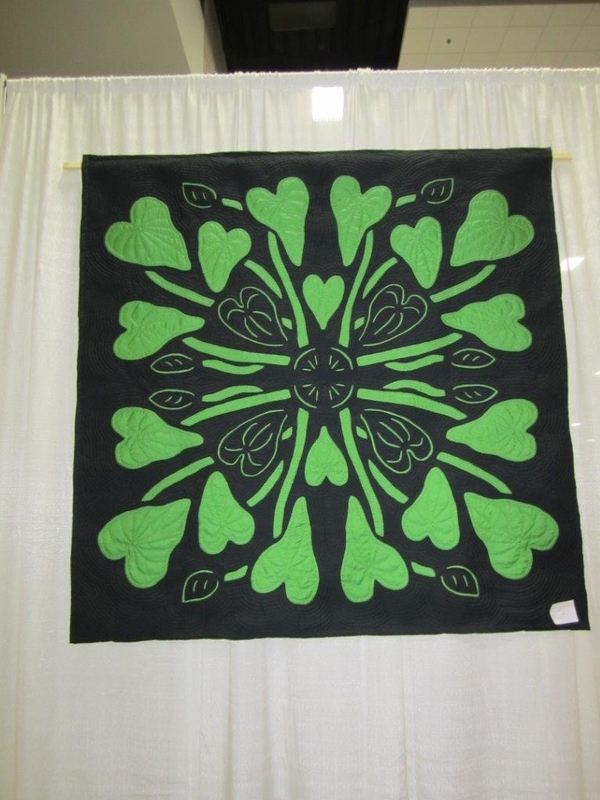 The quilt explained Father Damien’s role as he entered Kalaupapa. The Kukui leaf design indicated that Father Damien was to restore the light to Kalaupapa, as the nut from the Kukui tree provided light for the people of old Hawaii. The taro plant on the bottom of the design indicated the family of Kalaupapa that Father Damien would gather the people together as one. 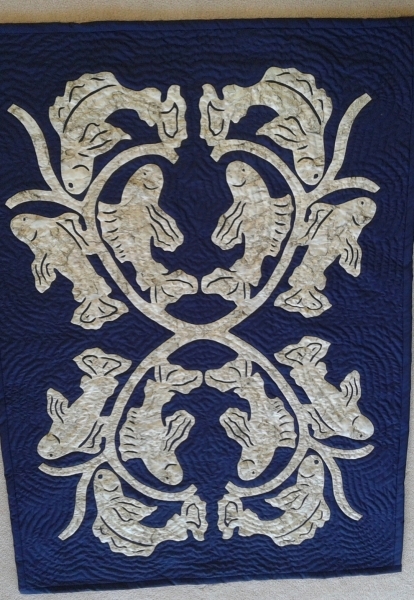 The cross quilted in the center showed the plight of the sick in Kalaupapa and his role in carrying them to a dignified life. After 3 weeks of sewing and preparing for the Belgium trip we heard the news that Pope Paul was injured and the ceremonies were canceled for a year. In 1995 we were unable to attend the rescheduled ceremonies due to personal reasons and felt sad over the situation until we got a phone call from Father Arsene who had asked for us at the airport thinking that we were leaving with the others. We explained our situation and he asked to use the quilt for a special mass at Kalaupapa to coincide with the beautification ceremonies in Belgium. We happily turned over the quilt to him to be forever a part of Kalaupapa and at last our mission with Father Damien came to an end.